Abstract: The decade in which the EHEA countries should have achieved the European convergence in Education in order for Europe to acquiere a knowledge-based economy and be more worldwide competitive was concluded in 2010. During that period of time, higher education should have been adapted to the proposed objectives of the Bologna Process. Therefore, the evolution of the legislation governing the postgraduate programs of the 47 member states is here examined. The analysis of the PhD programs was conducted using 154 indicators, which were related to the general regulations for postgraduate programs from 2006 to 2011 as a consequence of the changes in the educational policy of the countries to be adapted to the EHEA. Finally, the level of adaption to the EHEA countries and its evolution during this process of institucionalization is proved. Keywords: European Higher Education Area; european convergence; education legislation; bologna process; postgraduate. Abstract: Employment of disabled graduates by the University of Valencia (UV) is analyzed, in order to diagnose, visualize and promote integration resources and practices by universities, corporations, and others. Participants were 217 students with disabilities who were randomly selected by stratified sampling with proportional allocation based on genre and type of disability. Results showed graduated men with disabilities were significant older than women. Participants’ age introduced even more differences: self-employers and Administration’s employees were significantly older than the rest of participants. Differences between participants were also found depending on the kind of disability, in receiving disability allowances, and people with visual and psychic disabilities perceived more disability allowances than people with physic, multiple, organic, or hearing disabilities. In every most of the functional areas, employees stated that their job was related with their university studies. Data from 2010, related to general employability of the UV graduated, reported that about 70% of university graduated who were working, were employed in areas related with their university studies. With current study, and with the warranty that offer both the kind of sampling and the statistics techniques, it is conclude that graduated with disabilities’ employability does not differ from the rest of university students’ employability, even though it requires a bigger effort of information and awareness, both for the employers and for the employees. A first step would be the enhancing of the coordination between administrations, corporations, and universities rectors and social councils, to create a university monitoring and observatory center for everyone’s employability. Keywords: employability; disability; university graduates; exclusion; integration. Abstract: The ten Andalusian public universities have a total figure of 1312 professors linked to departments related to educational research. According to this, it could be said that there are enough research staff to make educational scientific production visible. Despite the fact that there are previous studies on Spanish educational production, these are not focused in Andalusia as a whole. The goal is to analyse the educational production, indexed in the Social Sciences Citation Index database (SSCI), carried out by researchers affiliated to some of the Andalusian universities. In particular, we analyse co-authorship patterns, diachronic production, language of the publication and the production per university. We utilize usual bibliometrical techniques for collecting and analysing data. We make the search in the SSCI from which we filter the information and download it. We used a local relational database made for this purpose. A standardization process of the author name and institution was made. An exponential rise of the production analysed is observed, partially due to the increment of educational journals that are indexed by the SSCI along the period studied. Spanish journals have the highest production rate. Likewise, a collaboration networks between Andalusian universities and others was revealed. The research articles are the 89.7% of the whole production analysed. The resulting collaboration index is slightly higher than others found in previous studies in the fields of Social Sciences and Education. In addition, it is shown that the collaboration among the Andalusian universities is low. Keywords: bibliometrics; collaboration networks; andalusian universities; web of science; educational research. Abstract: The present study aims at determining and comparing the characteristics of scientific activity described in the curricula vitae (CV) of the head researchers appearing in Social Sciences proposals for projects under the Spanish National R&D+I Plan, 2004-2007. In all, 149 proposals were studied: 62 were classified as excellent and 87 as questionable by the National Evaluation and Foresight Agency (Spanish initials, ANEP), accounting respectively for 10% and 13% of all submitted proposals. In the case of the researchers’ CVs, 83% of excellent proposals and 77% of questionable ones were studied. The advantage of using curricula as the source of the raw data was that the scientific profile of the researchers analysed could be identified and classified on the basis of funded research, international mobility, researcher training and scientific production. Both the research proposals and the CVs have been classified according to the of Social Sciences-ANEP sub area in which they were evaluated. Keywords: curricula vitae; research proposal; scientific activity; social sciences; bibliometric study. Abstract: The present study aimed at identifying the self-perception about knowledge in university students (pre-post instruction) and analysing the relation between self-perception of knowledge in students and the professor’s assessment. The sample was comprised of 102 students of whom 70 were in the 2nd year of the degree of Early Childhood Education -subject Systematic Assessment- and 32 were Audiovisual Communication degree students -Subject Art-. For these goals, a pre-post quasi-experimental design and a descriptive-correlational design were respectively used. As to the first aim, meaningful differences in knowledge pre-post instruction were found, but as to the second one, a few significant correlations were only found between self-knowledge and the professor’s assessment in some of the units of the subject of Art, but not in the subject of Systematic Assessment. It is, therefore, necessary to improve the processes of self-perception of knowledge in Higher Education to promote safer and more successful learning. Keywords: metacognition; self-regulation; self-learning; self-perception of knowledge; self-assessment in higher education. 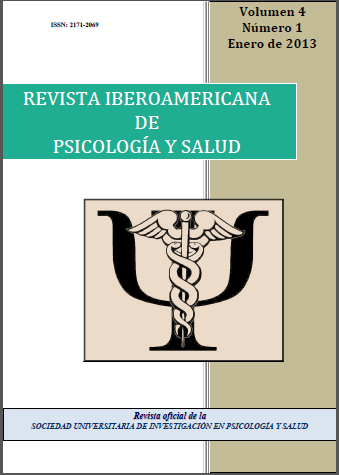 Abstract: Based on social cognitive theory, the purpose of this research is to identify the gender differences in academic performance and self-concept in a sample of Spanish students of secondary. Also, the role of self-concept as predictor of academic performance is analyzed. For this, 406 students (190 female and 215 male) participated in this research and the questionnaire used to measure self-concept was the AF5. Our results show gender differences in favour of girls in the subject: Spanish Language and Literature and also marginal differences in favour of girls in other subject: Foreign Language. Furthermore, students have got a positive self-concept, not only in general but also in the academic, social, emotional, family and physical aspects. Finally, a path analyses showed that academic, familiar and physical self-concept, and the age of students had a great influence on the academic performance. This search also showed the great importance of family and physical self-concept to determinate the academic self-concept. Keywords: academic performance; self-concept; gender differences; secondary school. Abstract: The development of generic competences in upper-level university education results from the demand from the job market. This study addresses the following questions now that the new curricula have been in place for three or four years: a) Does incorporating the general competencies into the curricula further increase the bureaucracy that so overwhelms teachers? b) Has there been a real change in the teaching/learning process based on the inclusion of these competences? c) What are the benefits of using information and communication technologies (e.g., Web 2.0) as a medium for integrating the knowledge society? d) Is it possible to differentiate among specific fields of knowledge when incorporating general competencies? We used data from an online study of 366 professors at the University of Las Palmas de Gran Canaria (ULPGC) representing various fields of study (art and humanities, science, health science, social science, law, and engineering/architecture) to address these questions. The results can be extrapolated to other universities and suggest the necessity of establishing a feedback system to aid decision making with regard to verification of degree requirements. Differentiation by subject area is not always clearly evidenced, except in the high valuation of these competencies in the fields of Health Sciences and Arts/Humanities. This finding stands in contrast to the fields of General Sciences and Engineering/Architecture, where these competencies are not highly valued. Keywords: generic competences; university professors; EHEA; knowledge society; quality assessment. Abstract: The boom in doctoral programmes, the changing nature of doctoral journey, the growth of different forms of doctorates and the different students’ profiles reinforce the urgent need not only in understanding what is quality in the doctoral supervision process, but also in designing proper tools to evaluate this practice so the quality of the process is enhanced. With the aim of knowing the conceptions that doctoral students and supervisors share in terms of the nature and value of the doctorate, and the implications those conceptions may have on the definition of doctoral supervision quality, as well as students and supervisors’ quality profiles, a study was designed. Results of the content analysis of data collected through focus groups with doctoral supervisors and students showed that both doctoral students and supervisors share very close perspectives. A dichotomy arises: the ‘intrinsic’ or epistemological meaning they attribute to the doctorate and the significance the doctorate has nowadays, considering intrinsic and extrinsic factors. These results stress the strong urgency in understanding the conceptions both actors of the doctoral research process have on this particular phenomenon, so their supervision practices and competences’ profiles may be adjusted to the process, promoting the overall quality of this intense learning experience. Keywords: doctorate; supervision process; quality assessment; student; supervisor.